During the maximum extent of the last Ice Age, most of Ukraine found itself south of the ice sheet and was inhabited by people who are not well researched as yet. From around 6,000 BC to 3,500 BC the Cucuteni-Trypillian culture flourished in what would later become the southwestern half of Ukraine, all of Moldova and northeastern Romania. This culture appears to have been highly advanced for its time, agricultural, matriarchical and peaceful. It was one of the ancient pre-Indo-European Neolithic cultures of Europe. In a process that is not yet well understood, their culture eventually or possibly violently, gave way to the influx of the nomadic, pastoral, patriarchical Indo-Europeans or Kurgans, but it is generally agreed, that the Trypillians were not displaced, but assimilated into the new culture that formed. Some time after 1,300 BC the Indo-European Cimmerians (a/k/a Kimmerians) arrived, then were displaced from the Pontic Steppes by the westward-moving Scythians, also Indo-Europeans, starting after around 800 BC (the Cimmerians eventually wound up in modern-day Turkey). The Scythians ruled in Ukraine from around 800 BC to around 300 AD. They were an Eastern Iranian people. They are most famous for first domesticating the horse and then developing the art of mounted warfare. Two further Scythian innovations that arose from this were pants — leather in their case — useful to prevent chafing of the legs when riding for extended periods of time, and the Scythian composite bow, which was composed of multiple layers for power, as well as, having curved-back ends, which gave it even more power, and allowed it to be relatively small, so that it could be used to shoot in rapid succession from horseback (it appears in Greek mythology as Cupid’s bow). By around 200 BC, the Scythians were pushed aside, though not fully displaced, by their Eastern Iranian cousins — with whom they had previously lived relatively peacefully for centuries — the Sarmatians, thought to be the direct ancestors of today’s Ossetians, earlier known as the Alans or Alani, and of course, partly the ancestors of today’s Ukrainians. The Sarmatians held sway through around 300 AD, when the Germanic Goths invaded from the northwest and contributed to their decline, but the final force that ended the combined Scytho-Sarmatian culture was the arrival of the Oriental Xiongnu people called the Huns, who eventually dominated from the 300’s through the 400’s. They were successively defeated over time by Rome, Byzantium and others, ending up, many think, in modern-day Hungary. By the 500’s, back in Ukraine, the land was being filled up by both the Slavs from the northwest and the Antes or Antae, who many scholars think were simply the now indigenous remnants of the mixed Scytho-Sarmatian and Trypillian populations. Thus, the combined Antes and Slavs became the direct ancestors of modern-day Ukrainians. One may note that the very name “antes” means “ancient” or “preceding ones” in Greek. Then, in the 600’s, another Oriental group, the Turkic Khazars arrived, establishing a kingdom whose western end covered southeastern Ukraine, while the Antic-Slavic population ruled in the northwest. The Khazars were eventually defeated by this Antic-Slavic population as it became the Ukrainian empire of Rus starting in the 800’s. The Khazars had also been under pressure from Byzantium and the rising Arabs. Overlapping with the Khazars, other Turkic groups entered Ukrainian territory from the east, starting with the Pechenegs in the 500’s, followed by the Polvotsians (or Cumans, of the Cuman-Kipchak Confederation) in the 1000’s, and finally the Tartars, who had been subjugated under the Mongols under Genghis Khan in the 1200’s. These continual waves of displaced or invading Turkic peoples from far eastern Asia coincided with the tenacious rise of the indigenous Anto-Slavic (Scythian) culture, as well as, an interesting new development, the infiltration of Ukraine by the Varengians or Vikings, who apparently did not so much invade as somehow integrate themselves into an existing culture and give it an impetus toward a re-establishment of centralized rule, this time from the capital at Kyiv. There is historical evidence that in his evangelizing mission through eastern and central Europe, the apostle Andrew prophesied about and blessed Kyiv, saying that it would one day became a great city with many churches, which it eventually did. Kyiv became the center of Rus, controlling a huge territory, including lands not part of Rus itself, but belonging to Rus — what today is Russia west of the Ural Mountains. By the year 988, Rus was an empire of significant size and power, but to further consolidate its position internationally, King Volodymyr the Great opened negotiations with the Byzantines to recognize him as “tsar” (or “czar”) meaning “emperor” (deriving many think, from the word “Cesar”) in return for his military assistance to the legitimate ruler of Byzantium in what had already turned into a dynastic succession catastrophe. This would amount to their recognition of him as an equal, but the Byzantines needed him. At first the Byzantines grudgingly agreed, but after Volodymyr provided the requested aid, they reneged. At that point Volodymyr attacked Byzantium. Having taken the city of Chersonesus in Crimea, he now threatened to continue on to the rest of Byzantium. Byzantium, acceded to his demands, but to prevent any more surprises, he now demanded to marry Anna, the sister of the Byzantine emperor as a further sign of his and his empire’s equality with them. It was unprecedented that a pagan ruler should enter into such a marriage, yet the Byzantines agreed, though on the condition that he accept Christianity. Volodymyr had already been considering this both personally and for his nation, and so it was that in 988, Volodymyr the Great became a Christian. But he did not stop there. Even as early as Scythian times, there had been Christianity in Ukraine, to the extent that Scythian bishops are recorded as participants in the earliest ecumenical councils, though they hailed from those southern regions of Scythia that were under Byzantine control. For Volodymyr personally, his grandmother Olha (later St. Olha) had accepted Christianity. Now, while not formally coercing the nation, he famously declared that who so did not become a Christian would not be a friend of his, and so in 988, starting in Kyiv, Ukraine was baptized. Ukraine became an Orthodox Christian metropolitanate under the administration of the Patriarch of Constantinople. Eventually, Volodymyr the Great would also be canonized as St. Volodymyr. Rus rose from the 800’s through 1100’s, but after the death of Czar Volodymyr Monmakh, it began to devolve into competing city states, the ruler of each hoping to conquer the others and then move to Kyiv and rule from there, but with none being able to actually achieve this. By the early 1200’s the Turkic Tartars arrived. First they won the Battle of the Kalka River in 1223, against a large but quarrelling, disjointed Ukrainian force, which included forces from Ukraine or Rus proper, and also from Novhorod, and other northern and northeastern territories now in Belarus and Russia, as well as, their now-allies, the Polovtsi (Cumans, also Turkic). The Ukrainian forces conducted the battle in an uncoordinated and very poor strategic manner, resulting in an easy catastrophic defeat. Incredibly, after their victory the Tartars retreated. Soon though, by the late 1230’s, they were back, and with no centralized empire to oppose them, they sacked city after city, including Kyiv in 1240. As the empire collapsed, Western Ukraine absorbed a great deal of the human and material treasures of the now-fallen east, but it was too small and too steeped in the tradition of competing city states, or perhaps better to say competing local lords, to last more than another century. Thus, by the 1300’s, western Ukraine found itself under Lithuania and some parts under Hungary. When Lithuania merged with, but really and essentially, was absorbed by Poland in 1569, most of western Ukraine found itself there. In the east, Ukrainian lands, like the Russian lands to the north, moved from Tartar rule to rule by the rising Russian city state of Muscovy with its capital of Moscow. As the Tartar invaders lost power, they divided into independent Khanates, one of which was the Crimean Khanate, established in the 1441, but which by 1475 was forced to become a vassal — though closely allied — state of the flourishing Ottoman Empire on the opposite shore of the Black Sea. From there they waged annual raids for booty, especially for slaves to be sold to the Ottomans. As Ukraine had devolved and come under the rule of various foreign powers, people, mostly men, had slowly begun to carve out an existence in the steppes, which had become a deserted no-man’s land between the parts to the north and west under European rule and the parts under Asian or no rule. This became the crucible in which a way of life and a type of person called the “kozak” or “cossack” developed. The word itself is thought to derive from Turkic, and meant a young man, with connotations of independence, of not being beholden to anyone. By 1550, under the leadership and financial backing of a Ukrainian nobleman named Dmytro (“Bayda”) Vyshnyvetskyi, the Cossacks built their first major fort or ”sich” on the Dnipro River. It, like the ones that would follow, was built in the Zaporizhia region, the word meaning “za” – past “porizhia” – [the] rapids, so all these forts, built in succession as the preceding one was destroyed or discarded, were all called the Zaporizhian Sich. Today, the area is underwater thanks to the Dnieper Hydroelectric Station, built in 1932, creating the massive Dnipro Reservoir. The Cossacks were a social phenomenon. They consisted of people from all levels of society coalescing for protection. Everybody from dispossessed aristocrats to oppressed common people chafing under Polish rule to those simply seeking adventure and/or freedom came, but with the Tartars making annual slave and booty raids from Crimea, the need for protection was real. As such, the cossacks evolved into not only defenders of themselves, but a force for the defense of a Ukrainian nation long-deprived of self government. The lore of the Cossack era and lifestyle as representing the very best natural aspirations of the Ukrainian people persists even today. Initially, the cossacks were not an overt political force, but they were a force. As such, established authorities began seeing them as a force to be feared, but also one that might be used in a mercenary fashion. One famous example of this was the aid that the Polish King Jan III Sobieski brought to the Austrians at the Siege of Vienna in 1683. Though he had promised help, he actually lacked the proper resources in troops. When he arrived, the bulk of his army, were actually Ukrainian Zaporizhian cossack mercenaries. His inexplicably, frustratingly slow arrival to aid the Austrians, was actually the result of difficulties he had in negotiating the terms of Ukrainian aid. In a further interesting development arising out of this battle, as the siege wore on, a Ukrainian nobleman and Zaporizhian cossack named Yuryi Frants Kulchytskyi, fluent in multiple languages, voluntarily managed to get out of the city and back in to convey information critical to coordinating the eventually successful defense of the city. The reward he claimed was the many bags of coffee seized from the Turks, which the victors were more than happy to release to him as they had no idea of what it was. He subsequently opened a coffee shop, and thereby introduced coffee to Western Europe. Life under Poland was not going well. Ukrainian nobility, essentially, were given the choice of adopting Catholicism and Polish language and culture, or they were steadily being dispossessed of their lands and possessions. The Orthodox Church in Ukraine felt the same pressure. In 1596, thinking this might be an easement to the nation, the Ukrainian Orthodox Church hierarchy entered into the Treaty of Berest (or Brest) in which they became a Uniate Church, formally known as the Ukrainian Greek Catholic Church — a church with outwardly Orthodox forms, much autonomy in administration, but in full communion and therefore religiously subject to Rome and the Pope. It exists as such to this day. By the late 1500’s and on into the 1600’s, Ukrainian discontent at rule by Poland kept boiling over into a series of increasingly massive rebellions that were put down violently but with increasing difficulty by Poland. The one that commenced in 1648 went differently. The cossacks, led by Bohdan Khmelnytskyi allied themselves with their enemies the Tartars, who offered a great boost in the area of cavalry, to fight against the Poles. What had apparently been an attempt by Khmelnytskyi to win back rights, but still remain under the auspices of the Polish crown, exploded as the cossack rebellion triggered a popular uprising at the national level. By the end of 1648, Khmelnytskyi triumphantly rode into Kyiv as the de facto national leader of Ukraine. But Khmelnytskyi made mistakes that would prove devastating for the country. He made peace with the newly-elected King of Poland, and purposely turned away from a march on Poland by which he could have occupied Poland and thus stifled Polish retaliation. Furthermore, a key failing of Khmelnytskyi’s treaty with the Poles, was that it failed to obtain formal Polish recognition of Ukrainian sovereignty or his authority over Ukraine. Beset by a subsequent mix of victories but also defeats, as the Poles sought to re-establish rule over Ukraine, by 1654 Khmelnytskyi felt it necessary to enter into the Pereyaslav Agreement with Muscovy (today’s Russia), which, while it seemed to bring assistance to Ukraine, ultimately only opened the door, legitimizing Russian interference in Ukraine, and over time, aided the Russian takeover of Ukraine. The head of the cossacks had held the title of “hetman”, but starting with Hetman Khmelnytskyi, it became a title of national leadership. While Khmelnytskyi had moved the country forward toward sovereignty, it was also he who had failed to re-establish it, leaving the country in an ambiguous relationship with regards to Poland, and now voluntarily moving it into an autonomous rather than sovereign relationship with regards to Russia. The varying hostile and allied relationship toward Tartary and the Ottoman Empire — the Turks — also continued. In the ensuing years, in these muddied waters, hetman after hetman now had to struggle to work Ukraine towards independence. Three more major opportunities to finally liberate Ukraine came, but failed. Hetman Ivan Vyhovskyi declared war on Russia, and won a victory against the Russians at the Battle of Konotop in 1659, that was so devastating, that the Russian court made preparations to evacuate to the Urals. Russian agents in Ukraine, succeeded in stirring up so much strife back in Ukraine, however, that Vyhovskyi was forced to turn back to quell the unrest. To make matters worse, at the same time Otaman — as the title for the head of the Zaporizhian cossacks now was — Ivan Sirko decided to attack Tartary (established in 1441 in Crimea), an unfortunate move as Ukraine was, at the moment, officially allied with Tartary and Poland. The Cossacks, so bothersome to oppressive foreign powers, could now be a destabilizing force for Ukraine too. As alliances ended and cities rebelled, Vyhovskyi’s government collapsed. But Ukraine wasn’t done yet. The wiliest hetman may have been Hetman Ivan Mazepa. Feigning loyalty to the tsar, he built Ukraine up at all levels of society, preparing it for independence. The economy and culture flourished. When the Swedes invaded northern and northeastern Europe, he allied himself with them arranging for them to be the first to formally acknowledge Ukrainian sovereignty with himself as king. In 1709, at the Battle of Poltava, the combined Ukrainian-Swedish force met defeat. To this day, the Russian Orthodox Church refuses to renounce the anathema on his name, while in Ukraine, he is revered enough that his image appears on the 10 Hryvnia banknote. After that, the Russians tightened their grip on the east, and the Poles held on to the west. As Poland slowly devolved to its own disappearance from the map of Europe (1795), a process that historians agree was set into motion by the Khmelnytskyi uprising, western Ukraine became a part of the Austro-Hungarian Empire. In the east, in 1764, the Russians officially ended the hetmanate, and in 1775, they forced the abandonment of the Zaporizhian Sich. Ukraine became a region of Russia, divided into “gubernias” administrated by governors. In 1734, 1750 and 1768, there was another series of increasingly forceful uprisings, which were directed at Poland and Russia both. The one in 1768, named the Koliyivshchyna Revolt, was led by Maksym Zalizniak, who was elected hetman during the uprising — very significant, as Russia had officially ended the hetmanate four years earlier — and Ivan Honta. The uprising began in central Ukraine just south and a bit west of Kyiv, and succeeded in capturing and consolidating a core territory there. The uprising was gaining such rapid momentum, that it became obvious that it would at any moment spread to both the remaining Polish-controlled and Russian-controlled parts of Ukraine. Realizing this, Russia and Poland managed to act jointly, and quelled the uprising in 1769. It had lasted 1 year. At its inception, the cossack movement had consisted of Ukrainians fleeing south to enjoy freedom, but they had located not only in the Zaporizhia region of Ukraine, but also in the southeast and east, in the old Scythian east, the lands east of the Sea of Azov in the Don, Kuban and Terek River basins. Starting in the 16th century on through the 19th, Russia began to use Don and Kuban cossacks both to guard its borderlands and to expand them. As time went on, the Russians developed the idea of pushing all the way to the Bering Strait and beyond. This expansion eventually went as far as the establishment of Fort Ross, just north of today’s San Francisco, and included Siberia and Alaska. Throughout the history of this expansion, Ukrainian cossacks were used. Back in Ukraine, by the late 18th century, especially after the Zaporizhian Sich was forcibly disbanded (1775), there were migrations of cossacks in all directions, and some were actually orchestrated by Russia. There were various reasons for this. In some cases, Russia wanted to reward them for service to its empire. In other cases it wanted to appease them. In other cases, it simple wanted to relocate them, so that Russia could build its New Russia in the territory of Old Ukraine. As time went on, and as political oppression expanded, so did cultural repression. One of the most hated examples of this, was the law passed by Russia in 1876 called the Ems Ukaz, which made it illegal to publish or import books in the Ukrainian language. At the time, the Russian interior minister famously declared, “the Ukrainian language never existed, does not exist, and shall never exist”. In the 19th century, Ukraine seemed poised to disappear. Yet the nation would not succumb. Cultural movements and secret societies appeared despite threats of persecution. Many literary figures arose to preserve the Ukrainian language itself, as well as, the dream of a return to statehood. The greatest of these was Taras Shevchenko. One of the “benefits” that Russian rule had brought to Ukraine was the re-establishment of serfdom in 1783[!] — a social institution whose last remnants had died out in Ukraine over a century before — and Shevchenko was born a serf in 1814. This gifted genius rose to become an accomplished painter, engraver and writer, in particular of lengthy poetic novels. He was eventually bought out of serfdom at age twenty-four by two older artist friends, who raised the money through the raffle of a painting. He wrote on many topics, but his greatest impact was through those writings that glorified Ukraine, in particular it’s hetmanate past — prohibited — its culture and aspirations. His writings further included revelations of Russian oppression and derisive descriptions of the imperial family. Soon enough, all this earned him several long, debilitating exiles and imprisonments in various locales in Central Asia. Incredibly, as the 20th century approached, there was a growth, especially in western Ukraine, which was under Austro-Hungary, of organic and organized efforts at education and self-help for the populace including people in the rural areas, especially in the areas of national awareness, economics, political power and ultimately self-defense. 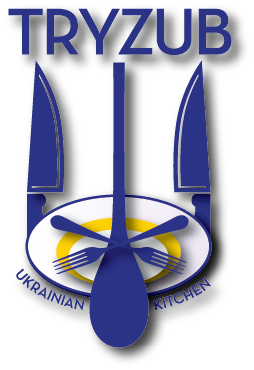 By the time World War I arrived, Ukrainians proclaimed the Ukrainian National Republic (UNR) in 1917 with its capital at Kyiv and the Western Ukrainian National Republic in 1918 with its capital at Lviv, and the two merged in 1919 as the UNR. Even the cossack heritage and lifestyle, seemingly ended in the 18th century, continued in other places and have remained to this day, namely stretching from eastern Donbass in today’s Ukraine to the Don River basin — the Don Cossacks — and in the Kuban River basin in today’s Russia — the Kuban Cossacks. In 1918, both these regions proclaimed republics with Ukrainian as the sole or primary official language and sought diplomatic ties with Ukraine proper, which, in fact, reciprocated. Also by 1918, Zelenyi Klyn or Green Ukraine, in the region around the lower Amur River on the Pacific Ocean, with Vladivostok as its major city, had organized itself into a pre-governmental polity, was sending material aid to Ukraine proper, and had formally resolved to proclaim independence and negotiated coordination with the Ukrainian National Republic, even demanding officially, that in all of its negotiations with Russia, the UNR was to demand jurisdiction over Green Ukraine! In late 1919, Kuban, Don and cossacks of the Terek Region (the Terek River flows east, into the Caspian Sea) began discussions of uniting as one state, even as they also made overtures to the UNR. Today, the situation in these regions, all within modern Russia, remains a never-ending source of worry for Russia. Catastrophically, with Ukraine’s socialist government having dissolved most of its army in conformity with its ideological belief that a new era of world peace was at hand, by 1920 Ukrainian independence was ended. Ukraine became a nation called the Ukrainian SSR (Soviet Socialist Republic), part of the Union of Soviet Socialist Republics or USSR. In the years between the wars, Stalin decided to simultaneously break the farmers, who were stubbornly resisting farm collectivization, and quell Ukraine’s sense of independence. Between 1932 and 1933, the secret police would raid farms and remove absolutely all grain, including that set aside for planting. The grain was sold on the world market, meanwhile its original owners starved. In their delirium, people even resorted to cannibalism. Bodies of the starving lay openly in the streets of such large cities as Kharkiv! These operations were not carried out everywhere in the Soviet Union, but specifically in the Ukrainian SSR, Kuban, and Don Regions, where the highest concentrations of ethnic Ukrainians in the Soviet Union lived. It has come to be called the “Holodomor”, meaning “extermination by hunger, or by the name “Famine-Genocide in Ukraine”. In addition to the artificial famine, in Don and Kuban, from 1917 to 1933, Stalin maintained a constant policy of “decossackization” using everything from civic pressure and discrimination to physical violence, such as burning of villages, all with the goal of dismantling any sense of uniqueness that the cossacks might have both in terms of their Ukrainian heritage and in terms of their unique cossack society. In World War II, Ukraine fielded an insurgent army, which continued operations as late as the mid 1950’s. Late in the war, in 1943, Germany, now desperate for help in Eastern Europe, formed an SS Division called the 14th SS-Volunteer Division “Galicia”, which had an arrangement that they would not fight against the Western Allies, and which indeed, surrendered variously to US and British forces in 1945. The Don and Kuban cossacks also formally cooperated with Germany in hopes of establishing an independent cossack state, but having spent the inter-war years being exterminated by the Holodomor, coerced, and with a generation being brain-washed since childhood, sadly, many also remained loyal to Russia. By comparison, in World War I, the Russian army had had a notable insubordination incident wherein cossacks in the service of the Russian Army refused to fire on Ukrainians even if they would fire on the Austro-Hungarians. In 1945, as the war ended, Ukraine became a founding member of the United Nations, though certainly not because the Russian-controlled Soviet Union desired to remind the world that Ukraine was a nation — in fact this was a great liability to them as they continued their ethnocidal policies against Ukraine — but because it meant an additional vote they could direct. In 1954, then-Soviet President Nikita Khrushchev arranged the transfer of Crimea, a peninsula and an administrative region of the same name, to Ukraine. The reasons for this rather surprising and abrupt move ranged from his fondness for Ukraine to a desire to promote the idea of a “brotherhood of nations” between Russia, Ukraine and Belarus — particularly as that year marked the 300th anniversary of Khmelnytskyi’s Pereyaslav Agreement, that so adeptly steered Ukraine in the direction of Russia — to the administrative practicality of having Crimea administered from Ukraine, to other considerations. 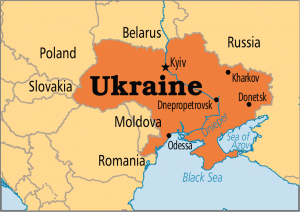 Ukraine remained one of the countries imprisoned in the “prison of nations” as the Soviet Union was often called by Ukrainians, until Ukraine’s independence by referendum in 1991 as the Soviet Union fell apart. In 1994, under the Memorandum on Security Assurances or Budapest Agreement, Ukraine, Belarus and Kazakhstan gave up their nuclear arsenals — Ukraine at the time had the third largest in the world — for assurances from the U.S., the U.K. and Russia that they would protect Ukraine’s territorial integrity. China and France also participated by separate documents. Today Ukrainian’s consider the agreement broken, and themselves free to re-establish a nuclear arsenal. The big test for Ukrainian mettle came in the presidential election of 2004, the third since independence. Much more so than in previous elections, it effectively pitted the pro-Ukrainian, pro-European (indeed, pro-Western), pro-European Community (EC), populist candidate Victor Yushchenko against the pro-Russian Commonwealth (formally the CIS – Commonwealth of Independent States), darling of the oligarchical system of wealth, power and patronage in Ukraine, Victor Yanukovych. It is important to note that he also represented the interests of the of pro-Russian people generally, a large majority of whom were ethnically Russian. Over the centuries of Russian imperialism, they had settled in southeastern and southern Ukraine (including Crimea), and quite notably, many had been brought in by the Soviets — whether it be to work in the coal and iron mines — or especially painful to Ukrainians, to outright take over deserted villages depopulated under Stalin’s rule by the combined effects of the “Holodomor” (“Famine-Genocide in Ukraine” of 1932-1933) and ethnic displacement; the latter would take the form of Ukrainian villagers living in Ukraine, being, without any warning, rounded up in the middle of the night, in winter, and herded onto drafty train cars, with their children and whatever possessions they could grab, transported to Siberia, and then disembarked into the snows with some tools, and told to build a new village there or die of exposure and hunger. It is perhaps poetic justice that in spite of this, they survived, adding significantly to the already sizeable population of Ukrainians in Siberia from earlier times, with the result that Siberia is now populated by millions of ethnic Ukrainians; in many areas, ethnic Ukrainians are the majority all the way to Green Ukraine, and the Russians are understandably nervous about it; discussions of this are problematic, because with its vested interest in suppressing this information, Russia produces statistics which seem to minimize this. In modern Ukraine, with the advent of independence and going into the various presidential and other elections, many ethnic Russians, including a prominent outsider, a certain Mr. Putin, considered it an imposition — no “persecution” — that living in Ukraine, they would have to accommodate themselves to the Ukrainian language being the official language of the country, or that after generations as the privileged ethnic minority, they might even have to learn Ukrainian to function well in the greater society. To them, who were trying to turn Ukraine into an extension of Russia, the idea of going the other way, and assimilating into the culture of the country in which they were living was unimaginable. They failed also, to consider that at no time were they actually prohibited from or coerced into not speaking Russian, whether in private or in public, from being connected to or proud of their heritage, or even of having organized expressions of this, examples of which could be Russian language and culture Saturday schools, museums, various civic organizations and the like. With so much at stake between the two candidates, the election of 2004 promised to be contentious and full of coercion and fraud. Yet, as the results began to come in, the fact that Victor Yushchenko was strongly pulling ahead of Victor Yanukovych began to be so obvious, that the national media stopped reporting results mid-way through the voting. The following day, they simply declared Victor Yanukovych the winner. At that, the people took to the streets and the Orange Revolution was born. The political pressure both internally and internationally was such that the government was forced to hold a re-vote and this time with even greater international and internal scrutiny, and Yushchenko won decisively. After five years of a Yushchenko presidency that left most people grossly disenchanted with his leadership, Victor Yanukovych finally won the presidency, and began turning Ukraine into a puppet state of Russia. The synchronistic takeover of all facets of societal control, the allowance of infiltration of all sectors of the police and military by erstwhile Russian nationals was breathtaking in its completeness. But what brought this to light more so than anything, ironically, was its ultimate failure and dismantling. Heading into late 2013, Ukraine had supposedly spent the last several years working on a step-wise integration with the European Union and perhaps in time, NATO. In a sudden reversal, days before further implementation (to be implemented by the signing of the Association Agreement in Vilnius), Yanukovych announced that Ukraine would suspend this activity, and the logical inference was, that it would instead join Russia’s Eurasian Customs Union (EACU) or Russia’s Commonwealth of Independent States (CIS) or both. Civic protests began immediately in Kyiv and Lviv. Victor Yanukovych, president of Ukraine, flew to Moscow to consult with Putin! Then Yanukovych ordered his Berkut security forces to attack the protesters in Kyiv. With that one act the Euromaidan turned into the Revolution of Conscience. Though none died that night, many were beaten severely, especially a young, female college student. Now there were tens of thousands and then hundreds of thousands of people in the streets, and the longer this continued, more numerous, better attended and increasingly more violent (on both sides) protests erupted all over Ukraine. In breathtaking lockstep, every time Yanukovych offered up an appeasement that truly threatened the movement against him by its veneer of reasonableness, every time it looked like the nation might just “buy it”, he quickly followed up with some new aggression or atrocity that simply outraged the national consciousness, bringing more people into the street, more determined to oppose him and what he represented — corruption, civic injustice, and another end to Ukraine. Beginning February 18, 2014, the first deaths occurred, exploding in number as over 100 people were killed over the next several days. These first martyrs of the Revolution came to be called the Nebesna Sotnia or Celestial Hundred. And by this point, people were being abducted and killed all over Ukraine. Later that week, Yanukovych, now under intense international pressure, after signing yet another agreement designed to quiet what was really almost a civil war, within two days displaced himself to Kharkiv and then disappeared, having fled the country for Russia. The Ukrainian parliament immediately elected new interim leadership and by May, new elections were held, resulting in the presidency of Ukraine’s current president, Petro Poroshenko. Today, Ukraine is again fighting against Russia in a covert war the Russians refuse to admit they are waging, and whose aim seems to be de-stabilization of Ukraine even if not necessarily full annexation, but with partial annexation already having occurred in Crimea and the Donbass. Internally, Ukraine is trying to eliminate government corruption and excessive bureaucracy, has launched a western-style police force in place of the former “militia” and Berkut and is trying to develop economically. Externally, Ukraine is working to integrate into Europe economically and politically, one of the most immediate goals being, not NATO membership as some might think, but participation in the collective of European nations known as the Schengen Area, which would allow Ukraine’s citizens to travel throughout most of Europe without the need for passports and visas. Being part of the US’s visa-free regime is also a goal, as is EU membership. Until late 2015, Ukraine had still been part of the economic offshoot of the CIS, the Commonwealth of Independent States Free Trade Area (CISFTA), but Russia in mid-December 2015, suspended its CIS Free Trade Agreement as to Ukraine effective January 1, 2016 to which Ukraine responded with trade restrictions against Russia. Probably what had prompted the Russian move was that also commencing January 1, 2016, the Deep and Comprehensive Free Trade Areas (DCFTA), established by agreement between Ukraine and Georgia and the EU went into effect. The war in eastern Ukraine goes on, but in the longer term, many experts think that Ukraine’s greatest promise of victory lies in succeeding on all levels of society now free of the crippling ties it once had to Russia.